Here is the recipe straight from Bon Appetit. It is definitely a winner! You are going to love it. Melt chocolate chips. I like to put a Pyrex mixing boil over boiling water and placing the chocolate in the bowl until warm not hot. I have ruined too much chocolate trying to use the microwave. You could melt it directly in a heavy sauce pan, but watch it carefully. Pour chocolate onto the lined baking sheet. Spread to 1/4 in. thickness or about 12 x 10 in. 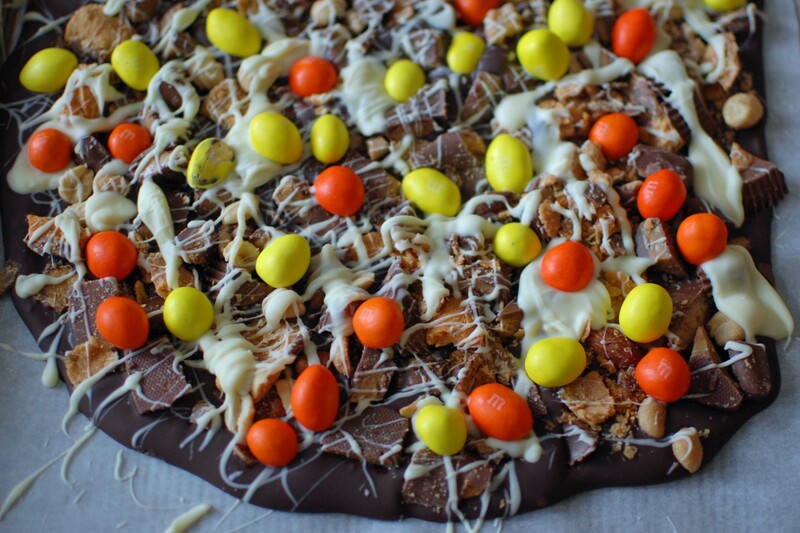 Sprinkle Butterfinger, toffee, peanut butter cup, and nuts. Save the M&M’s to put on after drizzling the white chocolate. Melt the white chocolate until warm. Dip a spoon into the chocolate and wave the spoon from side to side to create zig zag lines. It took me a few time to get this. Don’t spoon up the white chocolate just did your spoon into it. It will take a few minutes to do this step. 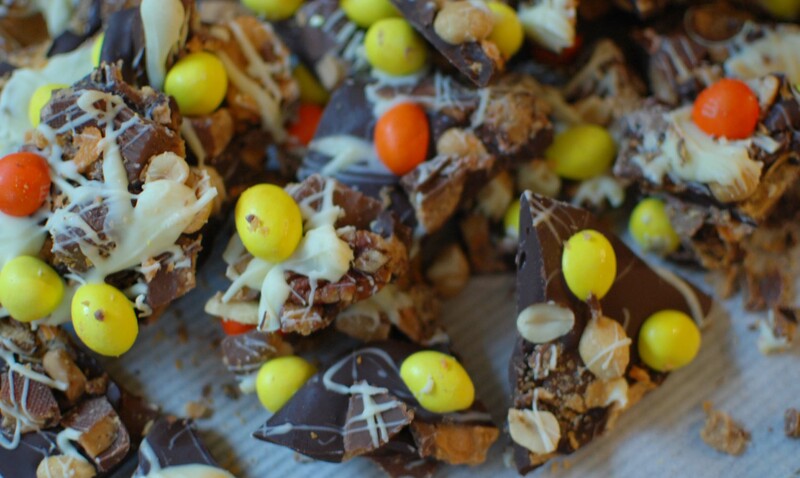 Press the M&M’s into the melted chocolate. The bark will peel right off the parchment paper. Break or cut into irregular pieces.